I am making a ball joint for a figure and have decided on ball bearings since they're easy to source in the correct size. I need to attach the ball to a shaft of some sort, like a small steel rod. The bearing will be small, approximately 1/4 inch in diameter. The shaft will be 1/8 inch or smaller. The ball needs to be completely static and strong enough to support some weight, a pound maximum. I have steel reinforced epoxy putty, but it's hard to work with and I can't imagine in sticking to the smooth surface of the ball. I do not have tools to drill a hole in the bearing, and have not found pre-drilled balls of the right diameter for purchase. What can I do? I'm looking to do this withing welding, soldering, brazing, or anything that requires high heat to accomplish. As much as I like the brazing answer, it's unfortunate that it won't work for your purposes. 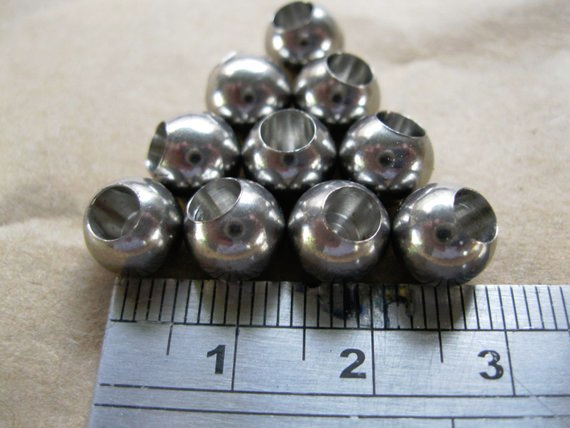 A search using the terms "drilled steel ball" resulted in many returns for of threaded and non-threaded balls of various materials. Most of the returns are for larger than 1/4" as you've requested. 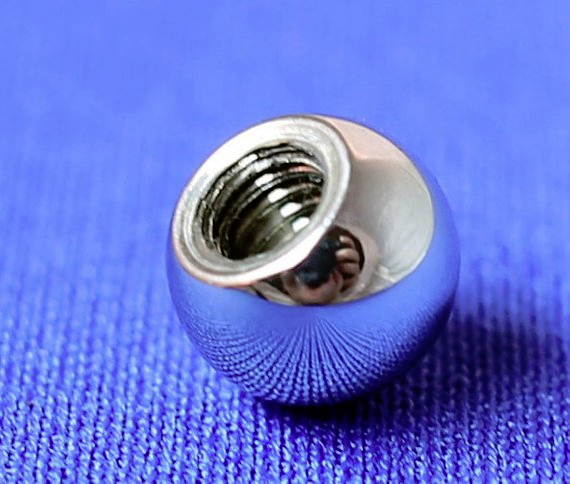 If you can adjust your design, there is a source of 8 mm drilled (unthreaded) balls on Etsy. It should be possible to use an epoxy to secure this type of ball to a rod. Etsy also has a listing for a drilled threaded version. Silver-brazing is strong and very doable with a propane torch. 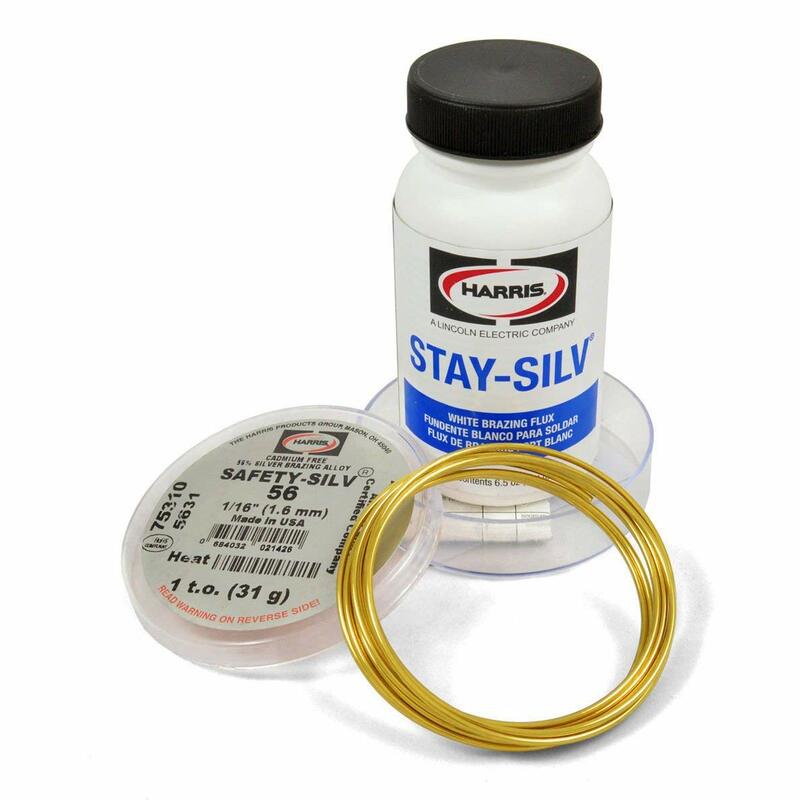 You'll get best results (easiest brazing and strong joint) with high-silver content brazing wire. If you can grind a small flat on the bearing ball that will make it work much better; getting a concave surface in the end of the rod is much harder, even if you have a lathe available, which I assume you don't. Carefully pressing it against the side of a bench grinding wheel will work fine if your hand is steady; only grinding will work on the hardened steel bearing ball. But most of us have one hanging around somewhere and whatever you can lay hands on should get the job done at this scale. Silver brazing is sometimes known as silver-soldering. Actual silver soldering takes place at a much lower temperature and isn't as strong. I have successfully glued balls to the tips of screws in the past using epoxy. The first step is the hardest: drill out the tip of the screw to form a cup that will locate the ball (in all but one case I've been able to get this done on a lathe). Then make sure everything is completely clean and grease-free, and use a slow-setting epoxy (even better one that requires heat to cure, but that's more for industrial use). Allow to cure with the ball sitting in the screw undr its own weight. This works with quite a range of materials; in one case the balls were synthetic ruby and the screws brass. I've generally done this using balls up to the diameter of the screw, or only a little larger. Drill a small hole in both pieces, get a small piece of thick wire, number 9 worked for me, and some jb weld. I was bored at work one day and made a statue of my buddy with scrap metal and used ball bearings as his biceps. 10 years later it's still in 1 piece. Not the answer you're looking for? Browse other questions tagged metal or ask your own question.